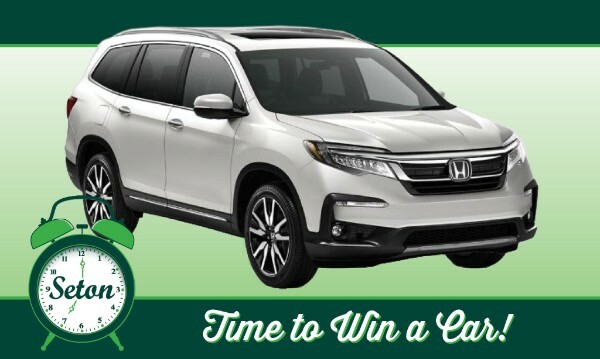 There’s no time like now to win a new car! Our students are working hard selling chances for the 2019 Honda Pilot worth $43,000! You can get your chances HERE and you can give credit to a student as well. The more chances they sell, the more chances they get to win a $500 gift card and limo ride to Kenwood Mall. Thank you for your support! We are so blessed to have such a generous Seton community, including the anonymous donor of this car. 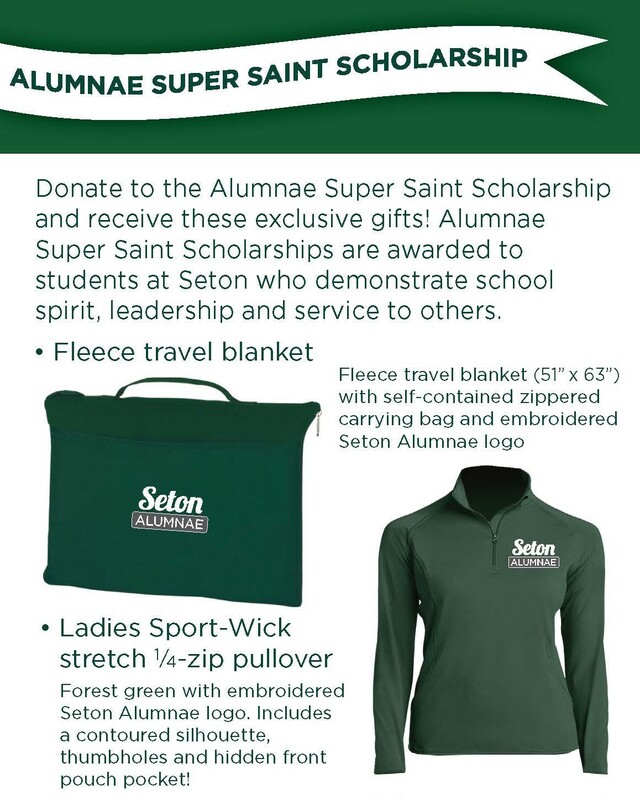 It’s an exciting week for both current and Future Saints! Our seniors worked on college scholarship applications on Wednesday during assembly time. 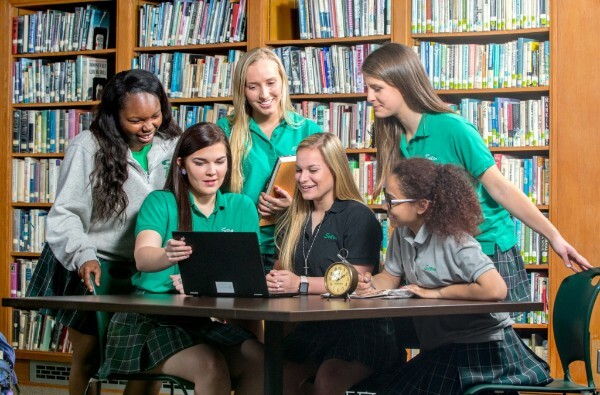 We are proud of these well-rounded Saints who have not only excelled academically but have also grown into great leaders. 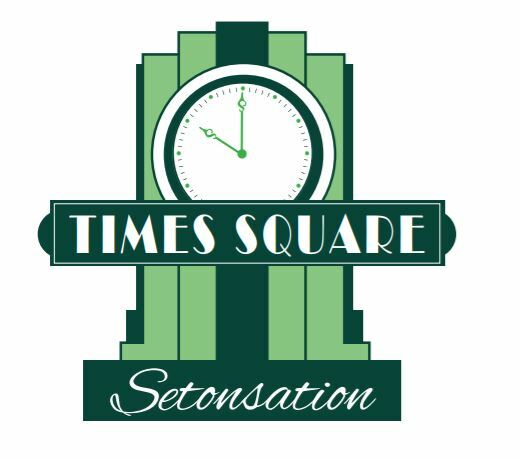 On Wednesday the Admissions Packets went out to all the 8th graders who applied to Seton High School. 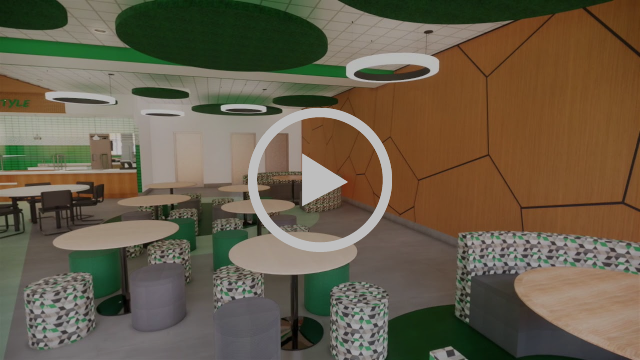 This is a very exciting time! Please keep them all in your prayers. 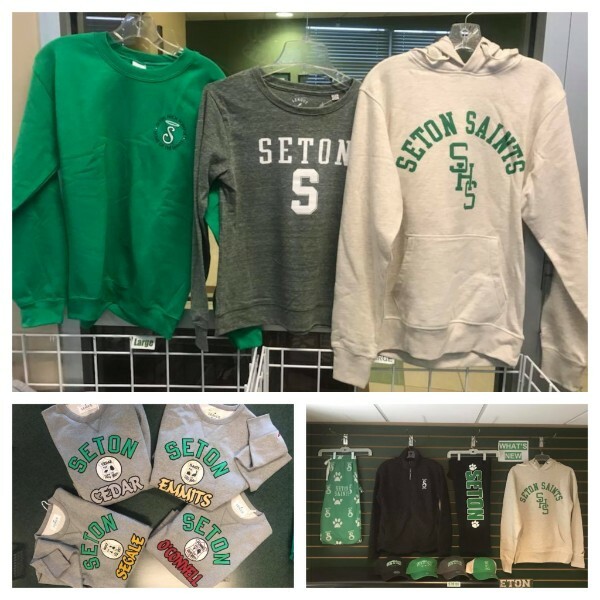 We are very excited to welcome the Class of 2023 at registration night on January 30! 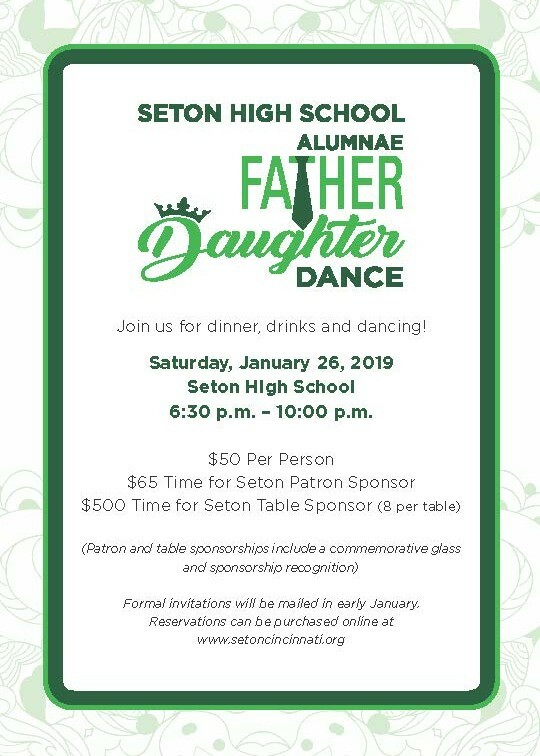 The last day to register for Seton’s Alumnae Father Daughter Dance is Sunday, January 20. Please register HERE. 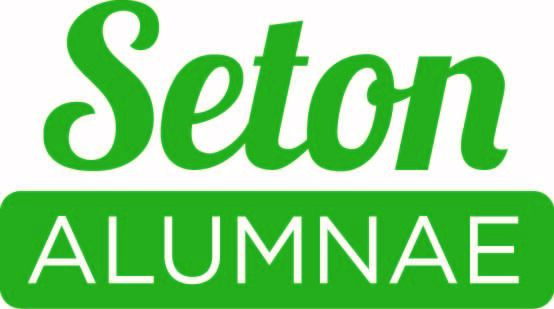 We are looking forward to this fun evening of reconnecting with Seton sisters, sharing memories and making new ones! 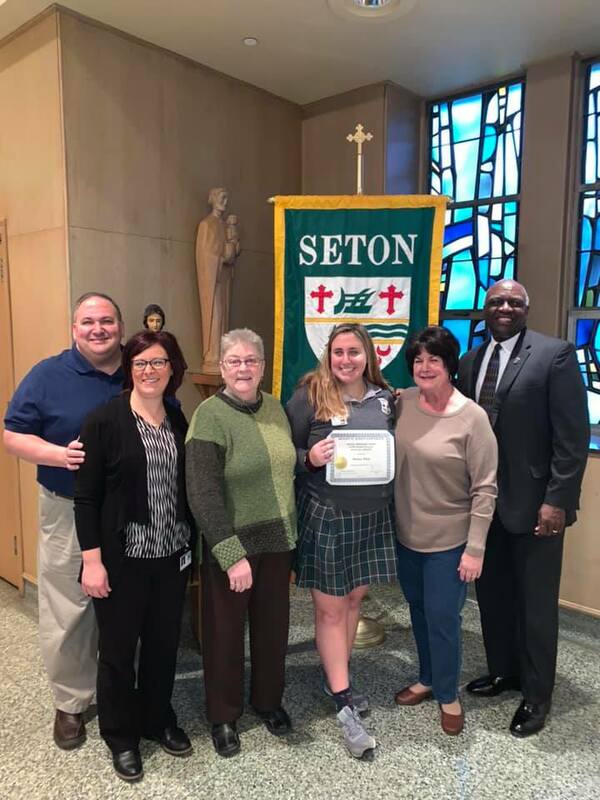 Congratulations to senior Monica White who received the first-ever Mission Ambassador Award from Mount St. Joseph University's President Dr. H. James Williams and Director of Mission Integration Sr. Karen Elliot. 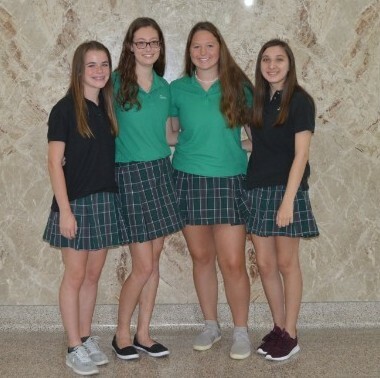 A big congratulations going out to some of our very talented art students who had their works chosen for the 2019 Scholastic Art Awards: Olivia Faillace, Emma Sander, Grace Martin and Laryssa Lively! 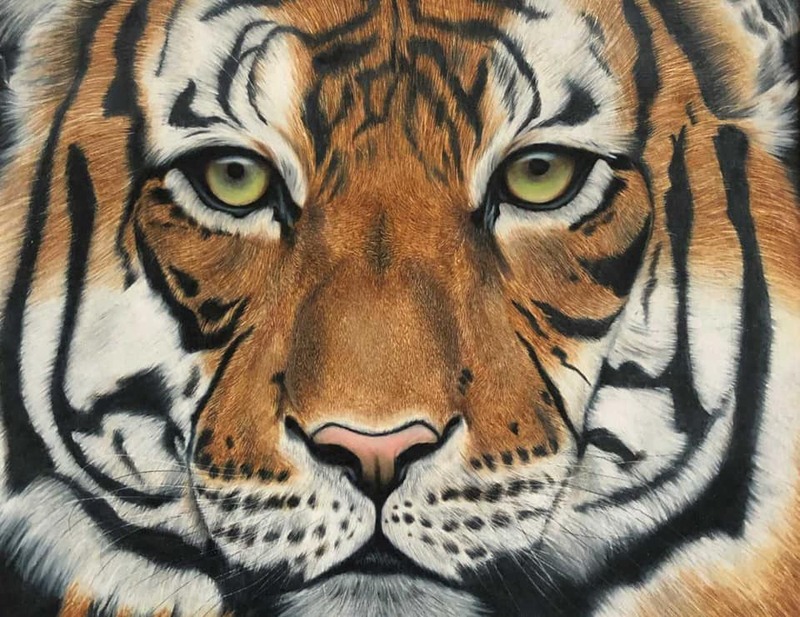 Their works will be on display from Jan. 28 to Feb. 8 at the Art Academy of Cincinnati. Olivia Faillace's portfolio was chosen, and she received a silver key for the portfolio! She also received a Gold Key for her Ceramics Rhino and her Colored Pencil Lion drawing! Congratulations to Mrs. Ann Jett! 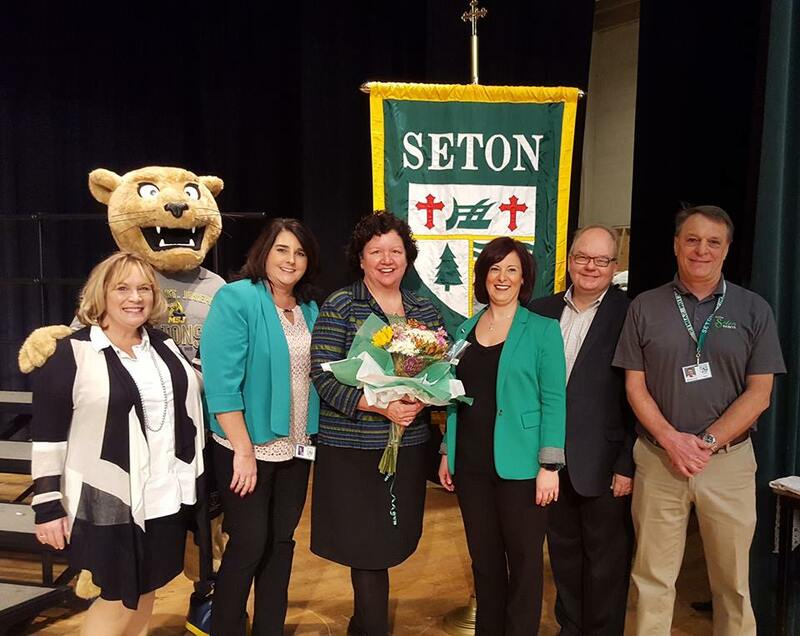 She received a surprise visit after our all-school Mass and was recognized for receiving the Outstanding Mentor Teacher Award. Mrs. Jett was nominated by science teacher Mr. Mike Jones. 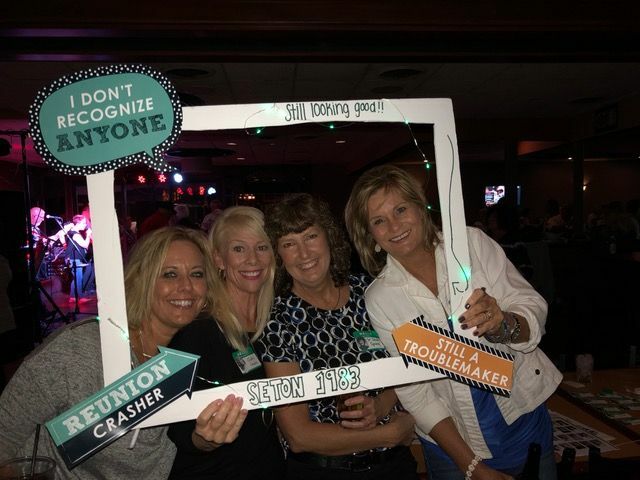 There is only ONE spot remaining in the Thirty-One Women, Class of 2023! 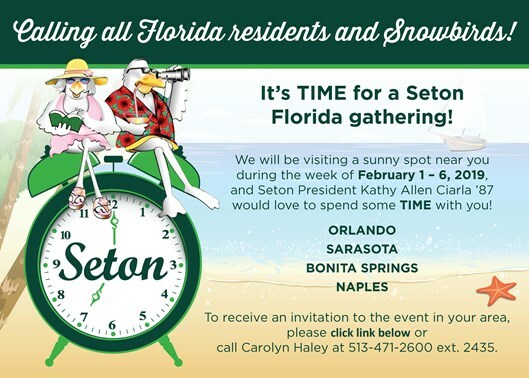 Learn how you can be part of this great opportunity and sign up today! 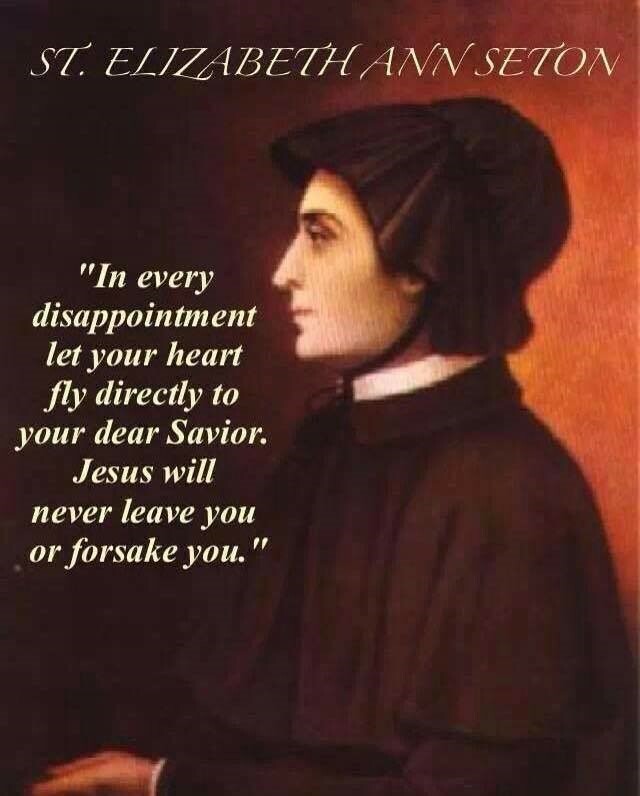 We pray today and every day to our patroness, St. Elizabeth Ann Seton, as we celebrated her Feast Day on January 4. 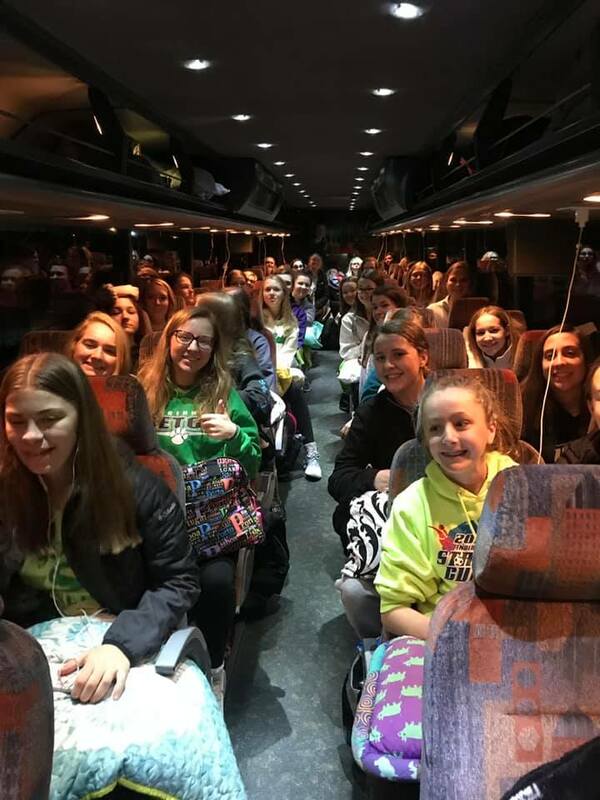 This amazing group of Saints is headed to Washington, D.C. for the March For Life, and we are so very proud of them! Please join us in prayer for safe travels. 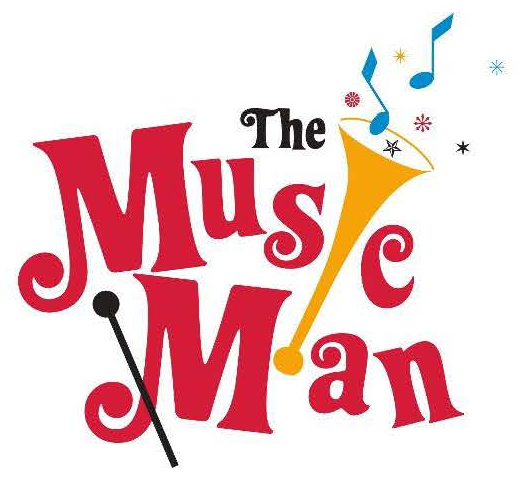 Come and join us as the Seton-Elder Performing Arts Series presents, THE MUSIC MAN. Enjoy the antics of Harold Hill as he sells the stubborn Iowans of River City a boys band.